In accordance with BC Games Society rules, there will be ONE age category (per gender) at the BCWG 2020: U14. Skaters who are 12 or 13 years old as of July 1, 2019, are eligible to compete. Each Zone will be eligible to send 3 skaters per gender, with wildcard positions also available. BCSSA has successfully proposed a pilot project to the BC Games Society, which allows up to 16 “Young Officials” (14-17 years years old as of July 1, 2019) to attend the Games to become trained as officials, volunteer as track stewards at the Games, and act as mentors to the younger athletes. This is the first project of this type ever at a BC Games! 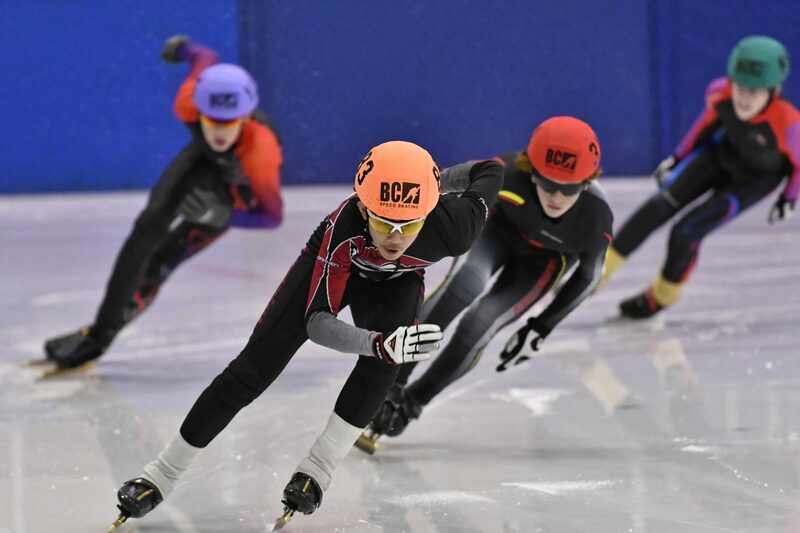 BCSSA has successfully requested that long track events will be included in the BCWG 2020, to take advantage of the beautiful indoor long track facility in Fort St John. Skaters will have multiple opportunities to practice on the long track oval, and to race in an exhibition race, prior to racing two official distances: 500m Olympic Style and 7-lap ISU Mass Start. Long track racing will occur after the completion of short track racing for the weekend. All skaters will compete in the short track and long track events. BCSSA, the BC Games Society and Special Olympics BC have collaborated to have Special O skaters race at the Games. Special O skaters will exclusively race short track events, in a separate division. Special O Zone Teams will have their own Coaches and Managers. Please see the BC Speed Skating website for more details. Questions can be directed to the BCWG 2020 Provincial Advisor: chris.acton@nullbcspeedskating.ca.